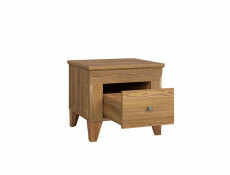 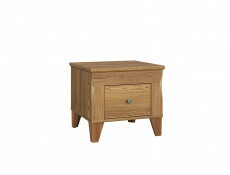 Traditional Small bedside cabinet side table with 1 drawer in Larch Sibiu Gold that is sought after light oak wood effect finish. 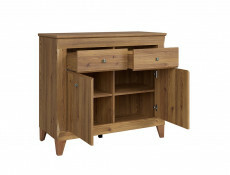 From beautifully crafted Bergen bedroom and living room furniture range. 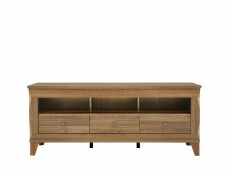 Size: 45 cm (H); 50 cm (W); 47 cm (D). 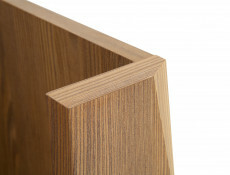 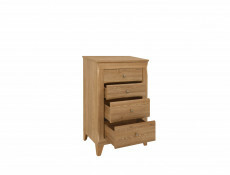 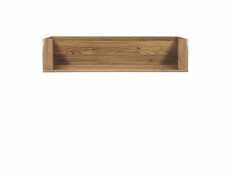 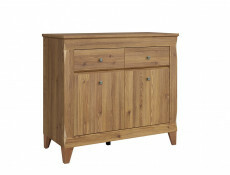 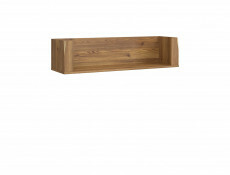 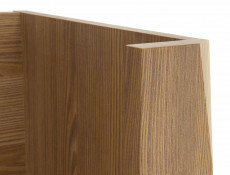 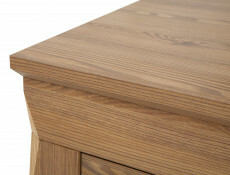 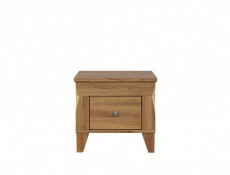 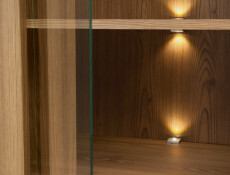 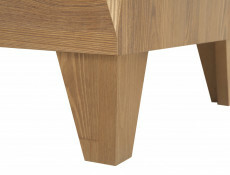 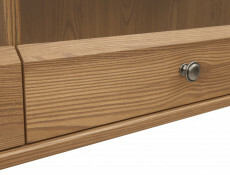 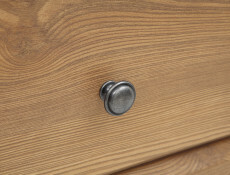 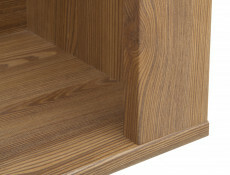 - This bedside cabinet side unit is made up of 1 drawer underneath the decorative pelmet. 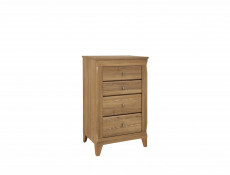 Traditional tallboy narrow tall chest of drawers with 4 drawers in Larch Sibiu Gold that is light oak wood effect finish. 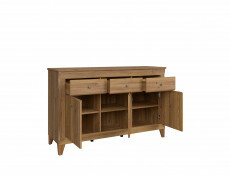 From beautifuly crafted traditional Bergen living room / bedroom furniture range. 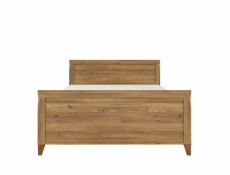 Size: 116 cm (H); 72 cm (W); 47 cm (D). 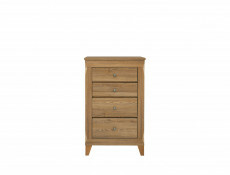 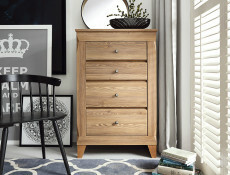 - This tallboy is made up of 4 drawers. 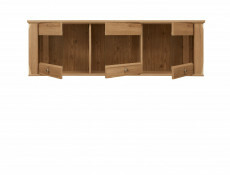 This will be a proud center pierce of any room. 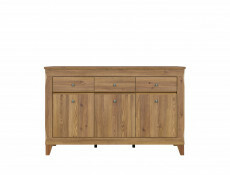 Traditional small Sideboard cabinet with 2 doors and 2 drawers in Larch Sibiu Gold that is light oak wood effect finish. 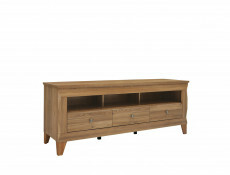 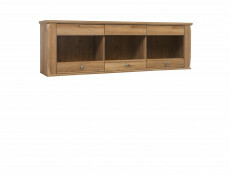 From beautifully crafted Bergen living room furniture range. 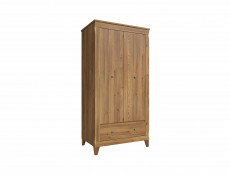 Size: 98 cm (H); 110 cm (W); 47 cm (D). 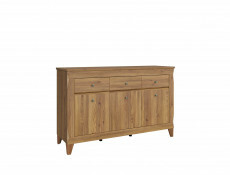 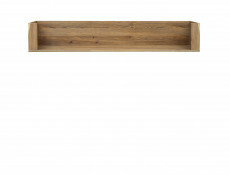 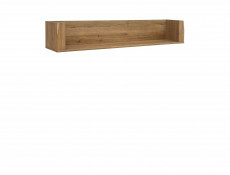 - This sideboard cabinet unit is made up of an open compartments behind 2 solid doors with 2 drawers above the doors. 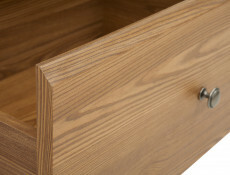 - -High quality brand name drawer slides with a silent soft closing system allow the drawer to sustain heavy loads and assure comfort of use. 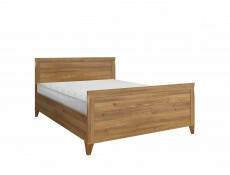 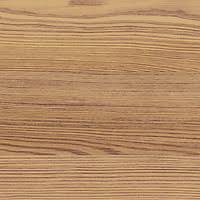 Traditional King Size Bed frame in Larch Sibiu Gold that is light oak wood effect finish from Bergen bedroom furniture range. 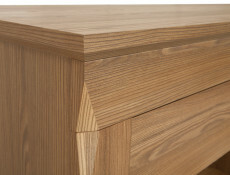 Beautifully crafted deatail on the frame. 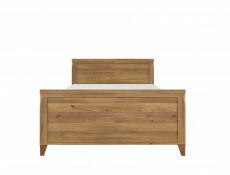 - Size: 78.5 - 102.5 cm (H); 165.5 cm (W); 204,5 cm (L). 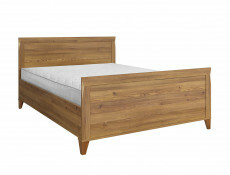 - Large continental king size bed will ensure the quality of your rest and will look great as the centerpiece of your interior. 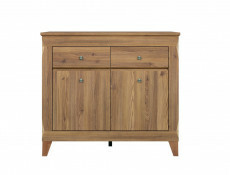 Traditional wide sideboard cabinet with 3 doors and 3 drawers in Larch Sibiu Gold that is sough after light oak wood effect finish. 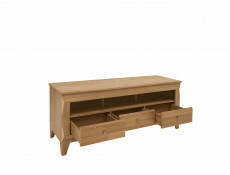 From beautifully crafted Bergen living room furniture range. 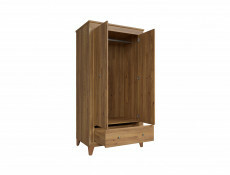 Size: 98 cm (H); 156 cm (W); 47 cm (D). 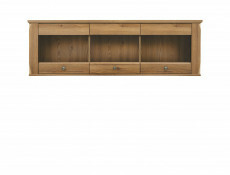 - This wide sideboard cabinet unit is made up of open compartments behind solid doors with 3 drawers above the doors. 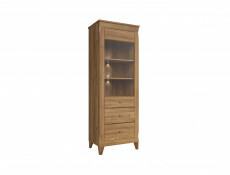 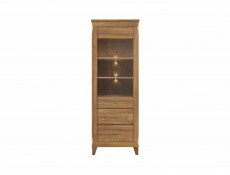 Traditional Two Door Wardrobe with 1 drawer in Larch Sibiu Gold that is light oak wood effect finish from beatifully crafrted Bergen bedroom furniture range. 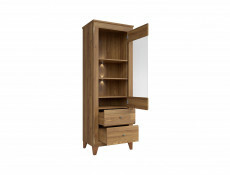 Size: 202 cm (H); 102 cm (W); 63 cm (D). 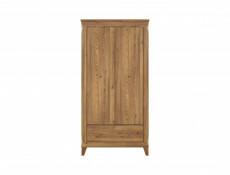 - The wardrobe is made up of an open compartment behind the two doors with hanging rail at the top and 1 drawer underneath the doors that is ideal for storing smaller things.